Do you know how to recognize a stroke? Do you know what steps to take if someone is having a stroke? Thinking F.A.S.T. can help save lives and improve stroke recovery. Watch your diet. Consider reducing sodium intake to Dietary Approaches to Stop Hypertension (DASH) or Mediterranean diets. Do you make New Year’s resolutions? Or more importantly, do you keep the New Year’s resolutions you make? How many of us vow that after the holidays, we will start a diet, lose weight, go to the gym, exercise more? Maybe the momentum continues a few weeks until you get tired or bored or discouraged by the appearance of a lack of results. Eighty percent of fitness resolutions are abandoned by mid-February. But you don’t have to fall into this trap. You can make small resolutions that are easier to keep and can help you down the path towards a better you. Be more active to improve overall health. You don’t need to join a gym to get healthier. Park farther away from your office so you have to walk a little more. Take the stairs instead of the elevator. If there are too many floors or you find it difficult at first, take the elevator halfway, then walk a couple of flights. Or use the elevator to go up but walk down the stairs. Soon, you will probably find it easier. Be active for at least 2½ hours a week. That’s roughly 20 minutes a day. You can take a 10 minute walk at lunch time and another 10 minutes of activity in the evening. Make healthier food choices. Grab a healthy snack such as fruit, nuts, or low-fat cheese. Switch out one ‘bad’ treat a day for a good treat. You might start to feel better and have more energy. And if you splurge once in a while, don’t give up. All is not lost. Be smoke-free. If you are ready to quit, call 1.800.QUIT.NOW (1.800.784.8669) for free resources, including free quit coaching, a free quit plan, free educational materials, and referrals to other resources where you live. Mercy Health also provides free smoking cessation programs. Visit the classes and events page on our website for dates and locations. Get enough sleep. Remember that sleep is a necessity, not a luxury. Your body heals itself and recuperates during sleep. Always use seat belts and use child safety seats and booster seats that are appropriate for your child’s age and weight. Get pets vaccinated and keep pets healthy. Our pets are part of our family. Keeping them healthy helps ensure they will be by your side for a while. Make an appointment for an annual check-up, vaccination or screening. Wash your hands often with soap and water to prevent the spread of infection and illness. If soap and water are not available, use an alcohol-based hand sanitizer. Studies show that a good diet in your later years reduces your risk of osteoporosis, high blood pressure, heart diseases and certain cancers. As you age, you might need less energy. But you still need just as many of the nutrients in food. Exercise is perhaps the best demonstrated way to maintain good health, fitness, and independence. Research has shown that regular physical activity improves quality of life for older adults and decreases the risk of cardiovascular disease and many other illnesses and disabilities. In many ways, it is the best prescription we have for healthy, successful aging. Do we really need to explain this one? Smoking is bad for you. So if you smoke, you should quit. There are many programs out there that can help you kick the habit. Visit the classes and events page on our website to join a free smoking cessation group, or ask your doctor for more information on ways to quit. Even if you’ve spent a lifetime smoking, you will benefit from stopping now. A fall can change your life. If you’re elderly, it can lead to disability and a loss of independence. If your bones are fragile from osteoporosis, you could break a bone, often a hip. But aging alone doesn’t make people fall. Diabetes and heart disease affect balance. So do problems with circulation, thyroid or nervous systems. Some medicines make people dizzy. Eye problems or alcohol can be factors. Any of these things can make a fall more likely. More than 102 million American Adults have total cholesterol levels above healthy levels (at or above 200 mg/dL). More than 35 million of these people have levels of 240 mg/dL or higher, which puts them at high risk for heart disease. Cholesterol is a waxy, fat-like substance found in your body and in many foods. Your body needs cholesterol to function normally and makes all that you need. Too much cholesterol can build up in your arteries. After a while, these deposits narrow your arteries, putting you at risk for heart disease and stroke. Not all cholesterol is bad. Cholesterol is just one of the many substances created and used by our bodies to keep us healthy. Total cholesterol is a measure of the total amount of cholesterol in your blood and is based on the HDL, LDL and triglycerides numbers. HDL cholesterol absorbs cholesterol and carries it back to the liver, which flushes it from the body. HDL is known as “good” cholesterol because having high levels can reduce the risk for heart disease and stroke. Low HDL cholesterol puts you at higher risk for heart disease. People with high blood triglycerides usually also have lower HDL cholesterol. Genetic factors, type 2 diabetes, smoking, being overweight and being sedentary can all result in lower HDL cholesterol. LDL cholesterol makes up the majority of the body’s cholesterol. LDL is known as “bad” cholesterol because having high levels can lead to plaque buildup in your arteries and result in heart disease and stroke. However, your LDL number should no longer be the main factor in guiding treatment to prevent heart attack and stroke, according to new guidelines from the American Heart Association. For patients taking statins, the guidelines say they no longer need to get LDL cholesterol levels down to a specific target number. A diet high in saturated and trans fats raises LDL cholesterol. How do you know if your cholesterol is high? High cholesterol usually doesn’t have any symptoms. As a result, many people do not know that their cholesterol levels are too high. 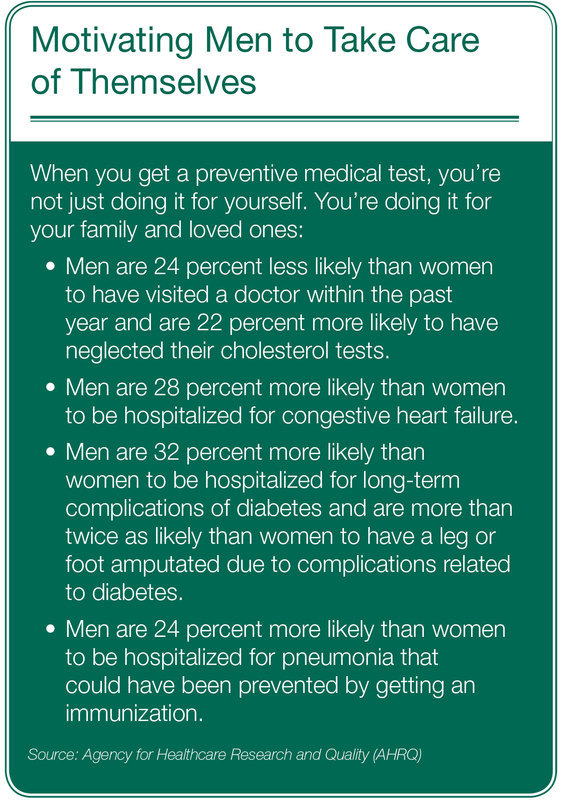 However, doctors can do a simple blood test to check your cholesterol. High cholesterol can be controlled through lifestyle changes or if it is not enough, through medications. It’s important to check your cholesterol levels. 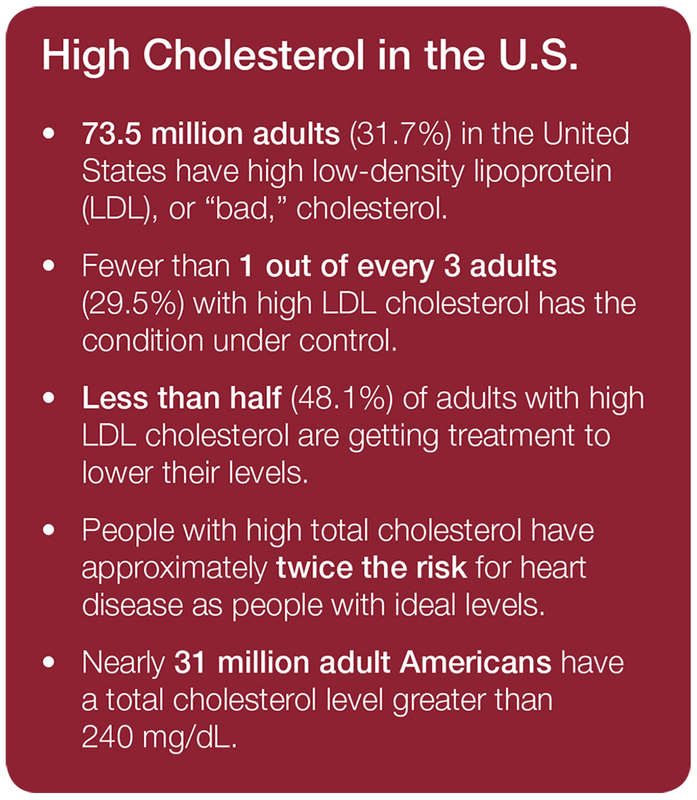 High cholesterol is a major risk factor for heart disease, the leading cause of death in the U.S. The National Cholesterol Education Program (NCEP) recommends that adults aged 20 years or older have their cholesterol checked every 5 years. Diabetes mellitus increases the risk for high cholesterol. Your body needs glucose (sugar) for energy. Insulin is a hormone made in the pancreas that helps move glucose from the food you eat to your body’s cells. If you have diabetes, your body doesn’t make enough insulin, can’t use its own insulin as well as it should, or both. So this causes sugars to build up in the blood. Unhealthy Diet: Diets high in saturated fats, trans fat, and cholesterol have been linked to high cholesterol and related conditions, such as heart disease. Physical Inactivity: Not getting enough physical activity can make you gain weight, which can lead to high cholesterol. Obesity: Obesity is excess body fat. Obesity is linked to higher triglycerides and higher LDL cholesterol, and lower HDL cholesterol. In addition to high cholesterol, obesity can also lead to heart disease, high blood pressure and diabetes. Talk to your health care team about a plan to reduce your weight to a healthy level. Genetic factors likely play some role in high cholesterol, heart disease and other related conditions. However, it is also likely that people with a family history of high cholesterol share common environments and other potential factors that increase their risk. If you have a family history of high cholesterol, you are more likely to have high cholesterol. You may need to get your cholesterol levels checked more often than people who do not have a family history of high cholesterol. The risk for high cholesterol can increase even more when heredity combines with unhealthy lifestyle choices, such as eating an unhealthy diet. Some people have an inherited genetic condition called familial hypercholesterolemia. This condition causes very high LDL cholesterol levels beginning at a young age. If you have high cholesterol, what can you do to lower it? Low-fat and high-fiber food (Eat more fresh fruits, fresh vegetables and whole grains). Don’t smoke or quit if you smoke.